The blanket can keep you cozy while you finish it too. Great color choices. 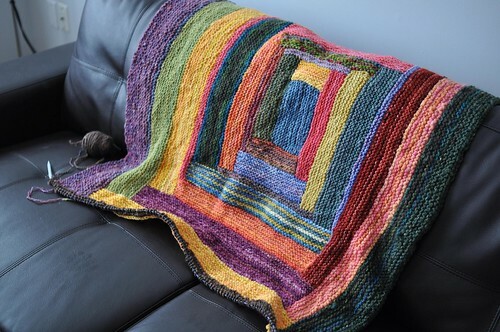 I love the colors on the blanket – so cheerful! 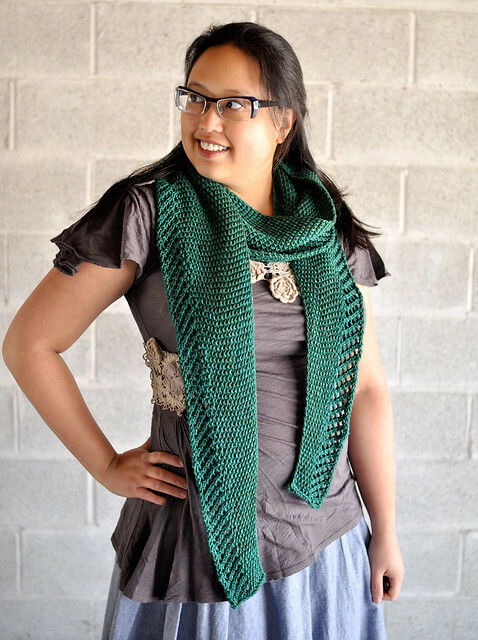 Plus, it’ll keep you warm while you knit it! And I still love the cardigan…I don’t know if it’s the color or the lace or what, but now I’m looking around on ravelry for a lace cardigan. Those blanket colors sure are cheerful. I should make a colorful blanket for the long winters here in Maine. The blanket is gorgeous! I’m sure it will be much used when you are finished. I love the sweater too….very pretty color! Your blanket looks so bright and cheerful. Mind if I bookmark that idea for a future project? Ah, lovely! I adore the log cabin style of quilts and afghans but have yet to jump in and sew or knit one; to do list! Thank you for the wonderfully inspirational photos, I always have to run and fetch my knitting after reading your updates! I’m so impressed with your photography, especially of the sweater. The angle really shows off the texture. What a great idea! I love how all the colors have come together. 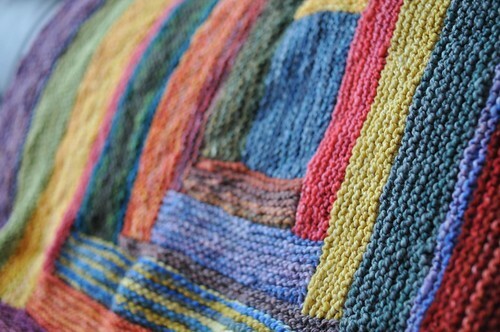 I love the idea of a handspun log cabin blanket! 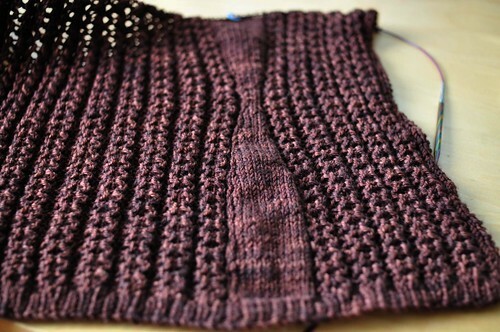 Perfect cold weather knitting. I have always loved log cabin blankets…all the picking up of sittches really hurt my wrists though……any thoughts?